Here are two facts about the majority of Americans which I think we can all agree on: First, we are grateful to our veterans who have sacrificed so much to protect our way of life and, second, we are generous and open our wallets to help those in need. Unfortunately, however, there are rip-off artists out there who exploit our patriotism and generosity. For example, USA Today reports that “[a] major offender…was Help the Vets, which had a nationwide operation, soliciting donations for its funding of veterans' medical care, including breast cancer treatment, a suicide prevention program, retreats for recuperating from stress and veterans fighting breast cancer. ‘But for thousands of disabled veterans who served in Iraq and Afghanistan, giving an arm and a leg isn’t simply a figure of speech – it’s a harsh reality,’ read one of the Orlando, Florida-based organization's solicitation letters, written by charity founder Neil Paulson. ‘Your $10 gift will mean so much to a disabled veteran.’” The Federal Trade Commission (FTC) estimates that Help the Vets raised $20 million, but 95% of that money went to “administrative expenses” and into Paulson’s pockets. Another organization in the FTC crosshairs is Veterans of America, which the FTC said used robocalls and other tactics to convince consumers to donate cars, boats, and other goods. As part of its “Operation Donate With Honor” initiative, the Federal Trade Commission is ramping up enforcement against fraudulent veterans’ charities and increasing its efforts to warn consumers about scams. The commission has taken action against dozens of groups, including imposing fines and obtaining court orders to put a stop to deceitful solicitations. The real tragedy is that bogus veterans’ charities not only steal or misuse your money; the money they collect means that legitimate organizations (and there are many of them) are not getting those donations, which provide desperately needed assistance to our wounded warriors. Don’t let these crooks deter you from helping the men and women who have served in uniform; instead take these few simple steps to ensure your hard-earned dollars are going to the right organizations. Heed the warning signs. If you are being pressured to donate immediately, then walk (or even better, run) away. All legitimate charities, including those supporting our veterans, will gratefully receive your donation whenever you want to make it. If a solicitor for the charity says you’ll win a sweepstakes or get a prize if you donate, then they are crooks. The FTC says this is illegal. If you get a thank-you note for a donation that you didn’t make, then someone is trying to trick you into giving “again”. Check them out. Get a website address and search for the organization online. Then do another search with the name of the organization and add a search word like “scam” or “complaint”. 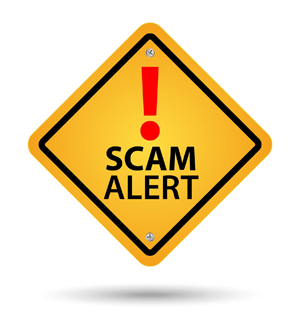 It is very likely that donors who have been misled or cheated have posted warnings online. Also, you can run a check on charities at the Better Business Bureau’s website. Ask questions about how your money is going to be used. The FTC suggests these questions: "Who exactly are you? Where are you located? And how much of my money is going to go directly to that program?" A few don’ts. Don’t make a donation via FedEx, UPS, or other similar carriers. Scammers avoid the U.S. Postal Service because they can be charged with mail fraud, a very serious offense. Don’t take a charity’s name at face value. Fake charities try to take advantage of you with names intended to stir your patriotism. Don’t fall for the “invoice” trick. Some fakers will send you what looks like a legitimate invoice in the hopes that you will pay it without thinking. “We all want to help [our] heroes [and] we encourage all Americans to be generous, but to take a few minutes and do your homework and make sure that every dollar that you donate ends with a charity that can actually do the work."